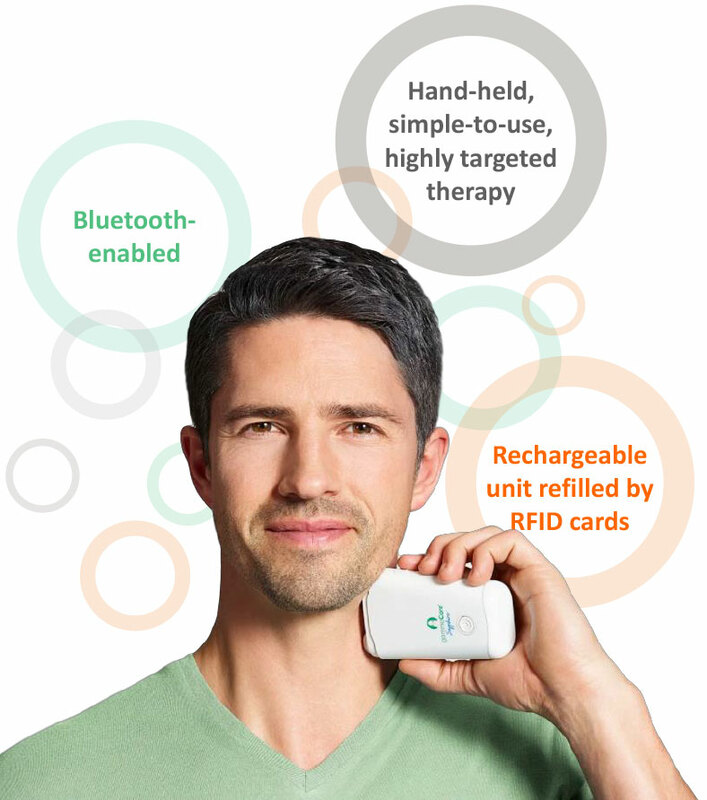 “We had two initial goals with our product registry in cluster headache: build advocacy among key opinion leaders to gain clinical experience with our therapy, and gain payer approval of electroCore as a pharmacy benefit,” Frank Amato, CEO, says in an interview with BioTuesdays, noting that the company launched gammaCore nationally on July 1. “We then set out to leverage our success in cluster headache first to expand into migraine and ultimately use an expedited FDA pathway to expand our labeling claims with new clinical data to other areas of headache,” he adds. electroCore, which went public in June, has made some early progress on attaining insurance coverage for gammaCore by engaging with more than 50 commercial payers targeting pharmacy benefit coverage. “We have and are negotiating agreements with commercial payers that we believe, based on estimates, will provide pharmacy benefit reimbursement for at least 17 million lives and could grow to as many as 50 million lives under those agreements by Jan. 1, 2019,” Mr. Amato contends. The company has established 32 sales territories in major population centers in the U.S. and hopes to scale up to 48 sales territories as it reaches additional insurance coverage agreements. gammaCore is the only FDA-cleared non-invasive vagus nerve stimulator for the acute treatment of cluster headache and migraine. In many countries outside the U.S., the therapy has been approved for the prevention and acute use in cluster headache and migraine. Clinical trials demonstrated mild, transient and inherently self-limiting side effects. The company plans to submit a 510(k) application with the FDA before the end of 2018 for the prevention of cluster headache. Mr. Amato explains that the patient holds the therapy against the side of the neck, over the vagus nerve, for two minutes to stimulate the nerve, at which point the device turns itself off. Patients have the ability to administer as much therapy as they will likely need per day, as directed by their healthcare provider. The vagus nerve is an important highway of communication between the brain and many parts of the body, and plays an important role in regulating pain. Non-invasive vagus nerve stimulation with gammaCore is believed to help block the pain signals that cause migraines and cluster headache attacks. According to Mr. Amato, vagus nerve stimulation releases various neurotransmitters in the central nervous system, moderating neural hyperexcitability and pain perception. electroCore holds more than 140 patents and patent applications, covering all non-invasive, transdermal neuro-stimulation of the neck. Key patents coverage extends through 2033, including high frequency burst signals capable of passing comfortably through the skin and low-pass signal filtration that reduces signal harmonics that cause pain. Cluster headaches affect 350,000 people in the U.S., with patients incurring bouts of frequent attacks, known as cluster periods, often occurring every other day, and up to eight times a day. Individual attacks can last from 15 minutes to as long as three hours. Typically treated with a combination of high-flow oxygen and triptan injections, the disorder has a suicide rate 20 times greater than the U.S. average. On the other hand, migraines affect 36 million people in the U.S., with multiple attacks monthly, lasting four-to-72 hours. Mr. Amato says 22 million patients are typically under the care of a physician and are being prescribed a migraine medication, with five million to six million patients referred to secondary care or a neurologist. Mr. Amato says migraine represents an estimated addressable market of $3.6-billion in the U.S., with cluster headache at $400-million. In its PRESTO pivotal trial, where 285 patients were enrolled for acute migraine, 120 patients were treated with gammaCore and achieved statistical significance of pain freedom and pain relief, compared with placebo. Interim results from its PREMIUM pivotal study for migraine prevention demonstrated a reduction in monthly migraine days. electroCore’s ACT 1 and ACT 2 pivotal trials for acute cluster headache also demonstrated that gammaCore achieved pain relief at 15 minutes for the first attack and pain-free attacks at 15 minutes. In addition, the studies found there were 42% of responders to treatment at 15 minutes in more than 50% of their attacks, compared with 15% in the control group. “Patients who get relief from our therapy can expect to have a consistent response in pain relief and pain freedom at 15 minutes,” Mr. Amato points out. In its PREVA pivotal trial for the prevention of cluster headache in 97 patients at 10 sites across Europe. The patients were randomized into two arms: one, using gammaCore plus the standard of care, and the other, the standard of care alone. The study showed 40% of patients using gammaCore, in addition to the standard of care, had a greater than 50% reduction in the number of weekly cluster headache attacks, compared with 8% in patients treated with the standard of care alone. electroCore also is planning to begin additional pivotal trials in the second half of 2018: migraine in adolescents and migraine prevention. “What we’ve learned in the short time our therapy has been in the U.S. market is that there are more physicians and patients looking for options beyond the current standard of care,” Mr. Amato says. “There are 800 physicians now prescribing our product, instead of the 250-to-300 neurologists we were hoping for originally, and some 4,500 patient claims that have been submitted to commercial payers for reimbursement, instead of the 1,000 claims we originally set out to achieve,” he adds. To connect with electroCore, or any of the other companies featured on BioTuesdays, send us an email at editor@biotuesdays.com.